Professional royalty free stock photos for only $.99 each. Simply select and download professional images and photos. Images can be used in web design, product brochures, CD covers, and more! :: Need Ideas for Business Blog Posts? 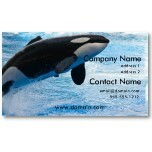 Professionally designed business cards that can be customized to suit your needs. Select business card designs by theme or industry. The business cards are inexpensive and high-quality. Optimize the blog using standard search engine optimization techniques, so that it performs well in the organic rankings of the various search engines. Now you have decided to podcast do you need tools to get the job done? We recommend the Podcasting Bundle. RecordForAll and FeedForAll makes it simple to record audio files, layer audio files, edit audio files and publish podcast feeds. The podcasting software bundle is a complete podcasting solution! Podcasting is the process of creating an audio show of some sort available in MP3 format via an RSS 2.0 feed that supports enclosures. Podcasts are designed to include talk shows, tutorials, music, or other audio content. If you need a professional logo checkout the logo designs available at Logo Search. You can modify the logo designs to meet your business needs and add your company name. Logos are only $9.95. The download includes logos that are 1200 x 1200 pixels and five formats including: .jpg, .gif, .png, .bmp, .and .tif. Testimonials are essentially 3rd-party endorsements for a product or service. Potential customers will often look for testimonials when faced with a purchasing decision. Customer testimonials can increase sales closing rates by removing uncertainty and instilling confidence in the customer. Additionally, testimonials that describe solutions for real-life problems can be very well received by others that may be struggling with similar issues. Half of small businesses have not taken action to prepare for disasters that are prone to happen in their areas, according to a new survey from FedEx Corp. and the American Red Cross. In addition, slightly more than half 51% have not practiced evacuations or other emergency drills, and almost half 47% have not communicated employee roles for the business in a disaster. Further, while 40% of small businesses do not believe they could fully recover within six months if their business was completely destroyed in a disaster, fewer than one third 29% of those surveyed are prepared if a disaster disrupts their business for just one month. Additionally, the majority of small businesses may not fully realize how a disaster could impact one of their greatest resources—their employees. Seventy-seven percent have not taken steps to encourage employees to create disaster preparedness plans for their homes and families. It is not just large businesses that are looking to cutting-edge technologies such as virtualization, cloud computing and mobile devices to beef up their disaster preparedness capabilities. A significant number of small- and medium-size businesses are adopting these innovations as well, a new survey shows. And the move is paying off for them. Integrated marketing can mean different things to different people and in different markets. But in general, its about managing marketing through multiple channels to create a single message. If you work for a small business there is a good chance that, since the recession, you have taken on additional responsibilities and are working longer hours. Some of the work that used to be done by fellow employees may be getting farmed out to freelancers or other independent contractors. According to Entrepreneur Magazine there are between 25 million and 27 million small businesses in the U.S. that account for 60 to 80 percent of all U.S. jobs. And, a recent study by Paychex, says that small businesses produce 13 times more patents that larger firms. Whenever you dispose of a business asset, whether you junk it, sell it, lose it, donate it, trade it in, get it repossessed, destroyed, or converted to personal use, you may have a taxable event. The decision might not be taxable, but it is usually reportable and sometimes you might enjoy something of a tax refund. Every year when compiling your tax data for your tax pro, you probably bypass a page entitled Assets or something similar in the organizer. :: How to Protect your Business? Whether you run a two man shop or a fifty strong company, having general business liability insurance may be a necessity. Small business owners may not think they need this type of insurance, but end up getting sued and you may think again. Social networks have overtaken local directories such as Yellow Pages and Thomson and print advertising in the UK as the main way small businesses seek out new customers, according to research published on Monday. Over one-third of UK small businesses say that they now use Facebook to market their products and services, compared to 27 per cent that rely on local directories for their advertising. Twitter has also become popular with UK-based small businesses and their owners – over one-in-six use micro blogging service to scout for new customers and to market their services. As a result Twitter is fast catching up with those who say they use print 21% and online advertising 20% advertising for their marketing. If you have got a new product or service that you are trying to sell, you may want to think about giving it away to begin with. In a new survey, 42 percent of consumers said they pay for new products and services after they have experienced them for free. The so-called freemium business model is the way a pantheon of marquee brands, from Ancestry.com to Words with Friends, first gained traction in the marketplace. The complexity of preparing a business for sale can be overwhelming. But advance preparation by the owner likely will lead to more interested buyers, an increased sale price and fewer transaction costs. Get financials in order. Up-to-date, accurate financial statements including balance sheets, income statements, cash flow statements and tax returns should be readily available for buyers to review. Historical financial statements and tax returns also should be ready for disclosure, and a seller should have explanations for any past or present issues. Buyers tend to request this type of information first and will likely evaluate it fully before spending any time looking at other components of the business. Many buyers walk away from deals at this stage because of poor record-keeping, questionable tax practices or lack of information. Experian has launched a new service to help small businesses quickly evaluate new customers for payment risk, monitor to see if risk changes, and collect past due amounts. The product is an online subscription service called BusinessIQ Express. It is an all-in-one dashboard to help you quickly evaluate companies that are customers and prospective customers. One of the potential downsides of being a supplier or a vendor to a big company is that you may have to wait a while to get paid. On average, big businesses – those with 1,000 or more employees – paid their bills more than a week past the due date on invoices, according to a report that is expected to be released by Experian next week. A new grant program sponsored by Chase and LivingSocial will give 12 small businesses the leg up they need to keep growing. Mission: Small Business will grant up to $250,000 to individual businesses that convince a panel of peers and small-business mentors that they deserve the funding. The program, which runs through June 30, provides businesses with the capital and marketing resources needed to grow. To apply, businesses must be established for at least two years and have fewer than 100 employees. Entrepreneurs applying will answer a series of questions identifying their motive and outlining their plan to use the grant. When thinking about protecting the future of our children, there are many lessons we can all learn from today's economy and job market. Chief Operating Officer and President of The Entrepreneurs Source Brian Miller says parents and educators, in particular, should be asking: Are we misleading our kids to believe that a secure job market awaits them after their formal education? With outsourcing and technology negatively affecting the job market today, what will it be like in 10 years? The House passed on Thursday a Republican plan to cut taxes on small businesses by as much as 20%, a measure the party characterized as its answer to President Barack Obama's "Buffett Rule." But the bill, approved on a mostly party-line 253-173 vote, is expected to stall in the Senate and has already drawn a White House veto threat.